As the assistant dean of campus life, Evetth Gonzalez assists with the coordination of new student Orientation, oversees campus activities including the DSA Muchachos, advises positions within ASHMC, and manages the Linde Activities Center. Gonzalez also serves as a live-in staff member, bringing the number of professional staff living on campus to five. Live-in staff members focus on building community, supporting students, offering evening and weekend programs and responding to emergencies on campus. She also is an inaugural member of the Claremont Colleges Teal Dot Committee that focuses on bystander intervention strategies for students, faculty, and staff. Evetth Gonzalez is a student affairs professional specializing in student leadership and development, orientation and transition, quality programming, social justice advocacy, and assessment.  Prior to Mudd, she served for two years in the Student Center for Reconciliation and Diversity at Azusa Pacific University. 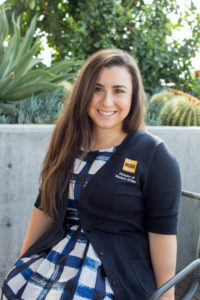 Most recently, she served as student activities coordinator at Scripps College and oversaw clubs and organizations, the student store, campus programs, student activities assessment, and co-advised the student government. She also holds a position with the Student Affairs Administrators in Higher Education (NASPA) national organization as the regional representative liaison within the Latino/a Knowledge Community – overseeing all regional representatives within the knowledge community. She has presented on a wide array of topics including identity, faith, advocacy, allyship, and personal development on various campuses in Southern California and at regional and national conferences across the country. Gonzalez received her B.A. in communication studies at Biola University and her M.S. in college counseling and student development from Azusa Pacific University. She can be reached by students wanting to plan programs, start new groups, or connect to the campus community in new and innovative ways!